This article is contributed by Lucy Wyndam who is a nurse and an aged care specialist. She has worked extensively with people who have Parkinson’s. Parkinsons Disease is the second most common neurological disease in Australia, after dementia. About 32 Aussies are diagnosed with the disease every day and this number has increased by 17 percent in the last six years. Although Parkinson’s affects 10 million people worldwide, it doesn’t affect some areas of the world like it affects Australia. Some scientists discovered that the prevalence of Parkinson’s was lowest in Asia and Africa, areas where green tea is commonly consumed. Therefore, many researchers have looked into the effects of green tea on the disease and found that it provides many benefits to alleviate symptoms and delay its onset. 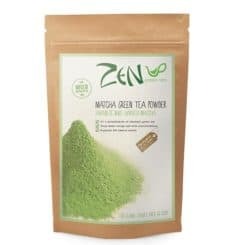 And with matcha green tea, it contains the whole tea leaf which has been stone ground into a fine powder. It’s the leaf which contains all the powerful antioxidants. 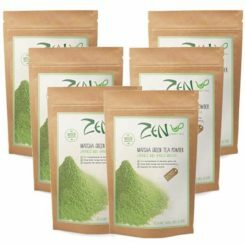 So, when you drink matcha, you ingest the whole leaf – not just the brewed water. Which means that you consume many more health benefits. 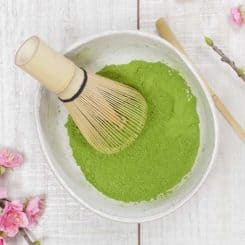 Just ½ teaspoon of matcha dissolved in hot water is the equivalent of 10 standard cups of green tea bags in terms of antioxidants, vitamins and minerals. Parkinson’s is characterised by a loss of neurons in the brain. This leads to a degenerative process and the death of brain cells. However, green tea is abundant in the antioxidant, Epigallocatechin gallate, or EGCG, which can help cells regenerate. EGCG helps to preserve neurons, regulate their energy use, and protect them from dying when stressed. So, by drinking green tea, you can replenish your body with the right nutrients to protect against Parkinson’s. Dopamine is made in an area of the brain called the substantia nigra and then travels to a second area of the brain. However, with Parkinson’s Disease, the dopamine flows back into the substantia nigra and can’t reach the second area to properly function. This leads to symptoms of Parkinsons such as rigid muscles and tremors. 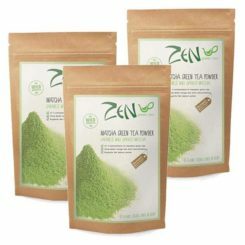 Green tea contains polyphenols, which have been found to block the backflow of dopamine and allow it to travel from one area of the brain to another. Therefore, green tea can help to ease movements and prevent the tremors associated with Parkinson’s. Not only is green tea helpful with alleviating some of the symptoms of Parkinson’s Disease, but it is also known to help people delay its effects. According to a recent study published in Frontiers in Aging Neuroscience, people that drank more than three cups of green tea daily, delayed the onset of Parkinson’s symptoms by more than seven years. What we put into our bodies makes a huge difference on our health and wellbeing. Therefore, you should add at least one cup of green tea a day to reduce the symptoms of Parkinson’s Disease, and promote positivi-tea in your life. 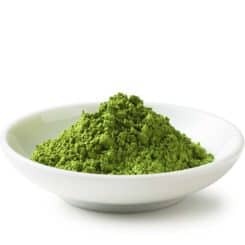 One standard cup of matcha is the equivalent of 10 standard cups of green tea. It has been proven to have 137x more antioxidants. So by drinking one cup of matcha, you’ll flood your body with these incredible Parkinsons-fighting antioxidants. This entry was posted in Health Benefit, Matcha Articles. Bookmark the permalink.